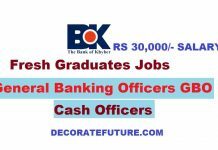 The Allied Bank Limited is offering latest jobs in Pakistan as Management Trainee Officers (MTOs) for the batch 2019 and required applications from fresh graduate from around the Pakistan, this is latest Allied Bank Jobs in this year. In accordance with the Bank’s corporate strategy and its human capital needs, Allied bank jobs 2019 invite applications from young postgraduates for placements in branch banking as Management Trainee Officers (MTOs) in various cities across the country in general banking function. MBA, MBIT, M.Com., Masters in Banking and/or Finance and/or Business or four (04) years BBA Honors (from HEC recognized university). 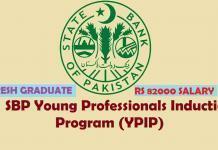 Having bi-majors in the field of Information Technology and/or Digital Banking will be an added advantage. Not less than 3.00 cumulative grading point average (CGPA) or 80% marks in the final transcript. Fresh graduates and having no experience are not required for jobs in Allied bank as MTO. To apply for Allied bank jobs online apply 2019 your age should not more than 27 years as on March 31, 2019. 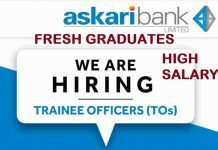 Only those candidates shall be considered for Allied Bank jobs as Management Trainee Officers (MTOs) for inclusion in the selection process who have fully completed their degree (as per above mentioned qualification) and have in-hand their final transcripts or degrees, in original. 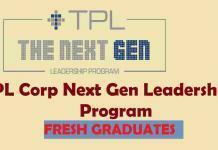 Only the shortlisted candidates shall be contacted. It is important to note that in the short listing process, one of the major parameters is the geographical location of the candidate because candidates from those locations will be shortlisted only, where the Allied Bank has manpower needs. 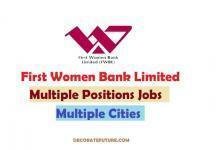 These positions as Jobs in Allied bank as MTOs are primarily for branch banking. However, at a later stage, Allied Bank reserves the right to transfer any employee to any other function, Group or location, at its sole discretion. You can apply through online form given below. Hard copies of CVs by post or through courier services shall not be entertained. Email or phone calls in this regard shall also not be considered. Influencing the selection process by any candidate, directly or indirectly, by any means, through anyone, internal or external, shall disqualify that particular candidate without any further notice or communication. Allied Bank reserves the right to accept or reject any application(s) without assigning any reason(s) there of. The last date to apply for the post of MTO is 31-March-2019.